Most real estate sales contracts contain a home inspection contingency—a clause that states both the buyer's and the seller's options should problems with the property be discovered during the home inspection. Understanding the inspection contingency clause is crucial, because it forms the legal and binding basis for resolving repair issues and allowing the home sale to close. "13. (c) Pursuant to any inspections in (a) and or (b) above, if any repairs are necessary, Seller shall have the option of completing them or refusing to complete them. If Seller elects not to complete the repairs, then Buyer shall have the option of accepting the Property in its present condition or terminating this contract, in which case all earnest monies shall be refunded. Unless otherwise stated herein, any items not covered by (a)(i), (a)(ii), (a)(iii) and (b) above are excluded from repair negotiations under this contract." This contingency clause clearly spells out the rights and responsibilities of both parties: the seller can elect to repair problems found by the buyer or pass on the option to do so; the buyer can elect to take the home anyway or cancel the transaction. The paragraphs named at the end of the clause refer back to the home inspection itself, dictating items that are expected to be working properly at closing and describing particular types of damage. A separate addendum, or attachment, can be used to establish details of any repair agreement between the buyer and the seller. Unless the buyer makes unrealistic demands, it is often in the seller's best interests to negotiate and make repairs. Once an inspection uncovers an issue, it becomes a material fact that the seller must disclose to all future potential buyers. It can't be covered up just by canceling this deal and relisting the house. Sometimes sellers think they can relist and increase the price of the house to cover the repair cost, but if the house is already priced correctly, that strategy doesn't usually work. An overpriced house sits on the market instead of selling. Issues noted on an inspection might throw up a red flag to the buyer's lender, too. Such problems might cause the lender to ask for a more detailed structural inspection to verify that the house has no further underlying problems. The bank might refuse to finalize the loan until any repairs are made. Repairs can be made before or after closing. If the seller makes repairs before closing, the buyer should take his home inspector back for a recheck as soon as possible after receiving word that the work is complete. Do not wait for the final walk-through. 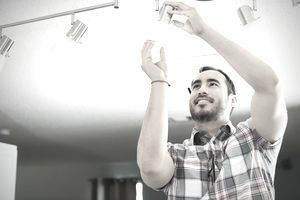 The home inspector may charge an additional fee for the service, but it's worth it: You don't want to find out the day before closing that repairs have been done poorly or not made at all. The seller gives the buyer a lump sum at closing to cover the cost of repairs, which the buyer agrees to carry out. The seller prepays a contractor to do the work. A portion of the seller's proceeds can be held in trust after closing and used to pay for repairs (usually computed at 1.5 times the estimated cost). The method depends on the complexity of the repairs. Simple items that won't take much time and have easily identifiable costs could probably be covered with a lump sum. Extensive repairs often uncover more issues as they progress and nearly always cost more than anticipated. If possible, buyers should delay as many closing-cost expenses as possible until repair issues are known and resolved. Why spend money for a title search, survey, and other expenses until you know the house will be yours? Get your inspections out of the way early so that you can negotiate repair issues and get on with the business of consummating the sale.